Need help? Turn to B&M Auto Specialists for all your fleet services! Everyone has a full calendar. We all feel the tug of multiple responsibilities, from every area of our lives. It can be challenging to get just the family car the proper regular maintenance it needs in order to run at its optimal levels. By comparison, tackling the needs of your fleet can be nothing short of overwhelming. Who services your fleet? There are a host of garages throughout Tarrant County that promise to take care of your fleet. Perhaps you’ve not experienced the fulfillment of those promises. And now you’re in the market for a new company to manage your fleet. In fact, many businesses in Tarrant County turn to us as their trusted source for the care of their fleet. Why is that? For almost 2 decades (since 1996), B&M Auto Specialists has been providing services for all types of commercial fleet vehicles in Tarrant County. 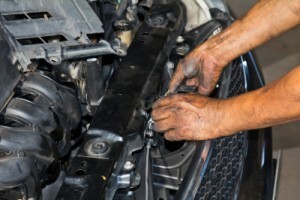 Here at B&M Auto Specialists, we have a full service truck repair facility, which includes 5 repair bays. Our ASE certified technicians are highly trained, delivering the level of services you’ve come to expect from us. That’s why we feel confident in guaranteeing all of our work with a 24 month/24 thousand mile warranty. With the unforgiving heat we’ve been experiencing in Tarrant County, we suggest you don’t delay getting your fleet the proper services needed to insure your business stays up and running. Call today to schedule your fleet services.